One ring to rule them all, Colonial scum! Just call me “Library Book” because I’m only checked out of here every few episodes! Sleepy Hollow has been absent from the airwaves the past few weeks, giving us some time to digest what has been going on. Also to forget a lot of little stuff, were we a more casual viewer. 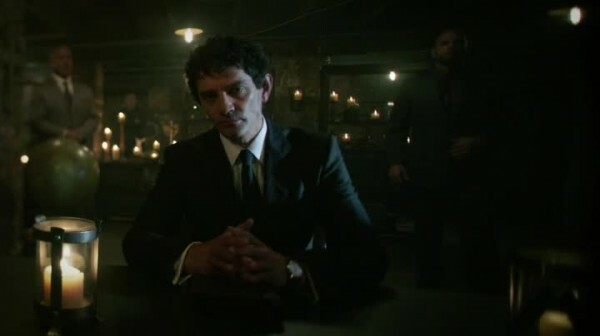 Luckily for the casuals, “The Sin Eater” opens with a brief recap of the prior five episodes, telling us what we need to know to get up to speed. Demon…or Phantom of the Opera cosplayer??? The theme for “The Sin Eater” is about letting go what you did in the past. You see it both literally with what Ichabod goes through, and demonstratively with Abbie rebuilding her relationship with her sister Jennifer, who Abbie abandoned to a life of mental institutions. 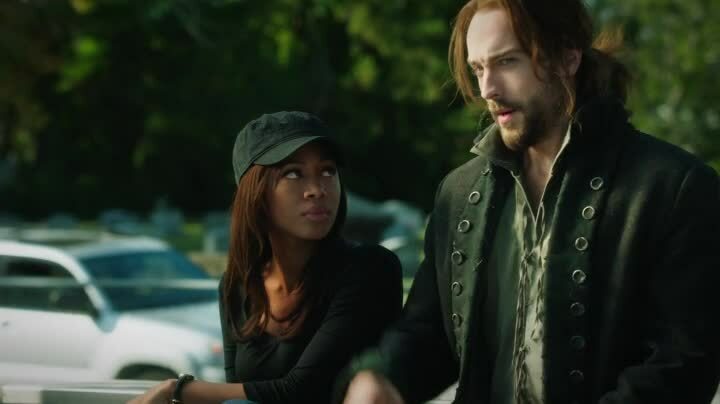 Abbie reveals that Ichabod is more than just a working partner for her, he’s someone who helped her find a purpose in life. As Abbie has drifted through life finding people who matter, only to have them taken away, she cannot bear to watch Ichabod be taken as well. It also is rocket fuel for Abbie/Ichabod romance speculations, despite Ichabod’s wife Katrina featuring more heavily in this episode than any prior. 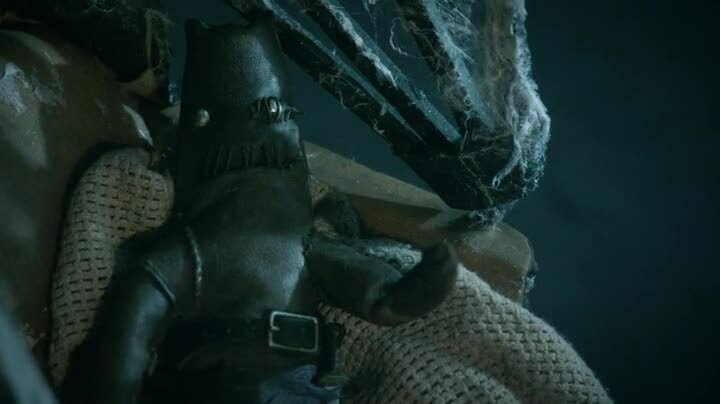 “The Sin Eater” also set up some mythology for the next few episodes, thanks to the appearance of the Freemasons and the hinted return of the Headless Horseman (though this is the second episode in a row where he has “returned” without returning yet!) But the ending feels like the next episode will take place immediately afterwards, with much of the same guest stars popping up, so hopefully things continue to be crazytown and well written. Have I told you about the advantages of a Time-Share? 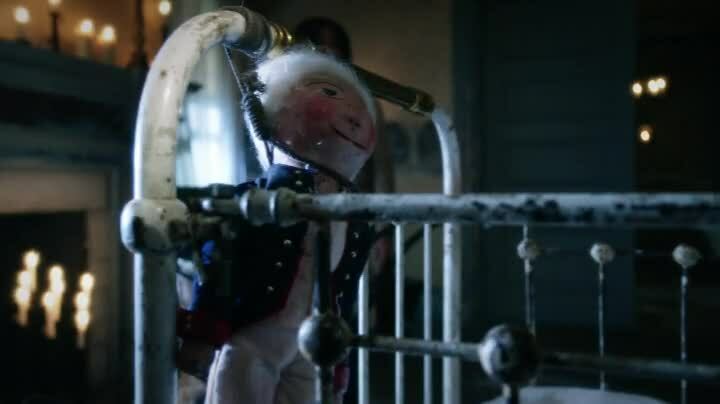 The episode begins at a baseball game, America’s pastime, and invented long after Ichabod was deep sleeping it. Abbie is a big fan, and explains her love of the game to Ichabod, equating it to the American dream (Nicole Beharie was also in 42 this past summer), and showing she likes to yell at the ump. Which Ichabod picks up on, though he doesn’t wait for anything to happen and just starts yelling. They split up after the game, Ichabod going by the cemetery to visit his wife’s grave before heading home. Except he’s tranq darted at the cemetery and kidnapped! Abbie is driving home at night, which is the perfect time to have a ghostly vision! She is wandering around a house and sees creepy dolls that make baby noise (hello etsy craft idea! ), the Headless Horseman, and witch chanters. This is all a vision from, Katrina with a message for Abbie about Ichabod’s kidnapping, as the kidnappers put him behind protective wards and she can’t see him. Katrina says to find the Sin Eater and sanctify Ichabod by sundown, but doesn’t explain much more before the vision ends and Abbie almost hits a truck. Abbie explains everything to Captain Irving and it sound just as bonkers as you think it would, and he reacts just as “WTF?” as any normal person would. We are told the Sin Eater can de-connect Ichabod and Headless Horseman, otherwise you can’t hurt one without hurting the other. But Abbie has no idea what a Sin Eater is. Captain Irving says there are two things people should hold on to – virginity and skepticism. 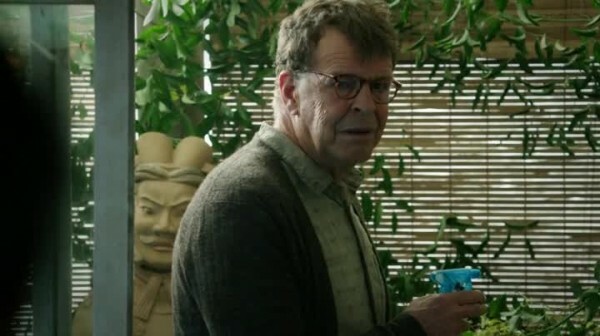 He’s still holding on to the second one, despite the prior five episodes of crazytown. But he does let Abbie get her sister out of the mental hospital for 24 hours. Yes, it’s one of those episodes, which we already have an expression for even though this is the first one. I am in an episode! British Soldier Ichabod Crane has to interrogate freed slave Arthur Bernard (Tongayi Chirisa) as to his possible involvement in an anonymous pamphlet advocating independence from Britain. In other words, Sleepy Hollow found a way to cast another cool black actor. 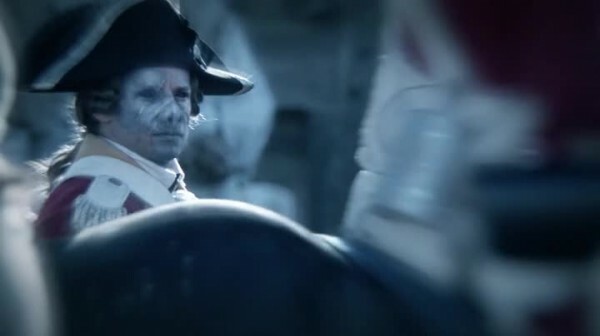 The method for interrogating prisoners in Colonial America is via punching them in the face, which one of the British soldier goons is doing while Ichabod stands there. This is also the first time he meets Katrina, who shows up as a Quaker woman objecting to violence, because Quakers are anti-violence. She manages to rattle Ichabod’s conscience. The interrogation goes on for days and goes nowhere. 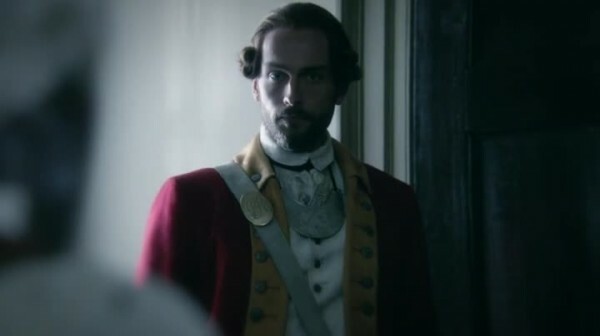 At a hanging of totally separate traitors to the crown, Ichabod realizes this public displays will do no good at quelling rebellion. He tells his boss, who replies with the Colonial American version of STFU, then quickly reveals he’s a demon. This troubles Ichabod enough he has another chat with Katrina. This conversation is 6 episodes overdue, we’ve been needing to see Ichabod and Katrina together to show why the love is so great it has lasted 250 years and all sorts of crazy magic. What we get isn’t the greatest of chemistry, but both actors are stifled as Ichabod is both rattled and proper, while Katrina is trying to reveal there are greater forces at work while still being a reserved Quaker woman. Katrina realizes Ichabod can see demons, which is invaluable in the secret war between men and demons that is going on as they speak. Abbie and Jennifer locate a Sin Eater by finding his pattern of visiting death row inmates, who then have their last words be “I’m sanctified!” But he disappeared two years ago. He forgot that he’s using the identity of one of the death row inmates, making him easy to track down. Sin Eater is John Nobel, of Fringe fame. Here, he plays a reserved guy who has massive internal demons, obviously haunted by what he is and what he does. He literally says this, and that’s why he doesn’t do it any more, because it was destroying him. So he won’t help Ichabod. He will let them know where Ichabod is, via a vision when Abbie touches him. Ichabod in a tunnel underground with a marking on the door – Jennifer immediately knows it is a Freemason marking, and Abbie immediately knows they are in the tunnels under the town we were introduced to several episodes ago. Top 23 Sin Eater Pet Peeves as Explained by Breaking Bad Gifs! Back in the 1700s, Ichabod was ordered to shoot the prisoner – but he let’s him go instead. The prisoner is shot anyway, and the commander goes full demon when Ichabod stabs him with a sword. 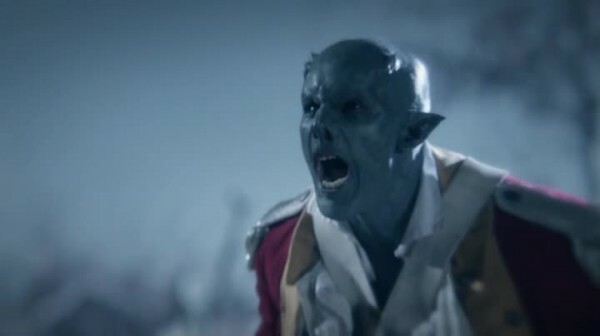 By full demon, I mean he turns into a blue orc from Lord of the Rings! Luckily some other British soldiers wander by and chase him off, and a wounded Ichabod staggers to Katrina’s house and collapses. The Masons reveal they were going to kill Ichabod after his blood mixed with the Headless Horseman, that’s why Katrina hid him away. So they’ll just kill him now, because that will kill the Horseman and save the Earth for a few weeks. They aren’t going to kill him, they’re going to make him kill himself, for the greater good. Somehow, their 10 seconds of arguments convinces Ichabod it is the right thing to do, and he even wants to kill himself after Abbie and Jennifer barge in and try to talk him out of it. Abbie explains that she can’t lose Ichabod and all about the Sin Eater and how he can separate Ichabod and the Horseman, but Ichabod doesn’t want to lose the chance to kill the Horseman. He calls her Abbie for the first time and then drinks the poison. Never fear, Sin Eater is here! He grabs Ichabod’s hand and stabs it, so let the sin eating begin! 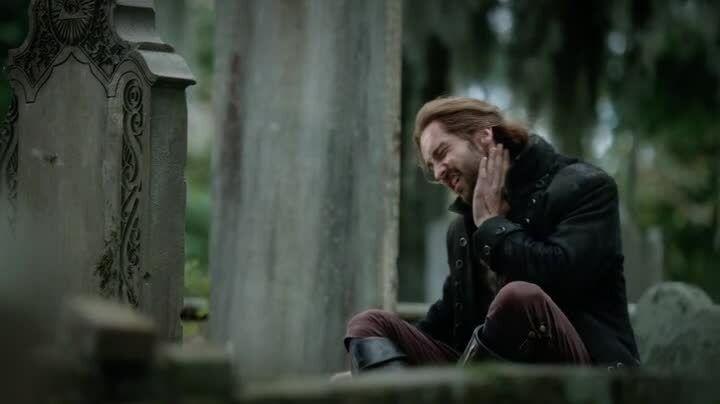 It happens via a vision, Ichabod seeing Arthur Bernard, whose death Ichabod sees as his big failure and sin. Arthur tells Ichabod he needs to let is all go, learn to forgive himself, and all that jazz. Because the Headless Horseman is feeding off his regret, and that if he’s free, he can totally beat the Headless Horseman later. So he does and is de-poisoned and sanctified! 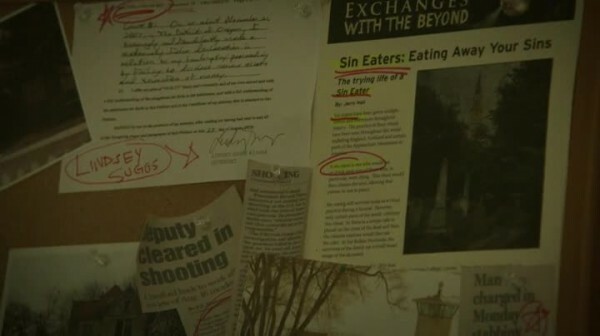 Also the Sin Eater eats a tissue that has Ichabod blood on it. The Headless horseman is coming!!!!!!!!!!! But we’ll be ready, say the heroes. 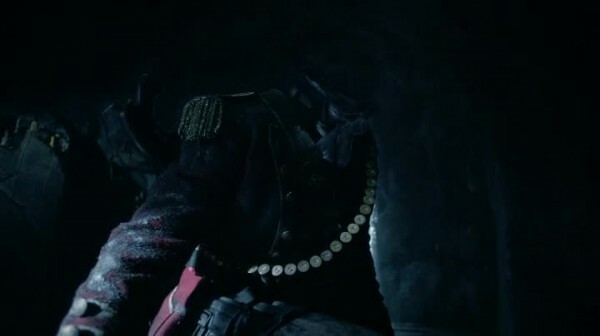 And then we see the Headless Horseman walking around and also visiting the cave where Ichabod was buried. Dun dun DUN! Wait, that’s not really a cliffhanger. Here’s hoping this sets up something cool for next week. Also Abbie has some relationship issues she needs to figure out. Overall, the episode was enjoyable, but not the strongest due to the split narrative. I really enjoyed the twist on the Masons, making them part of a huge conspiracy, but also relative good guys in the conspiracy, who even stand aside and let the Sin Eater fix the issue with Ichabod. 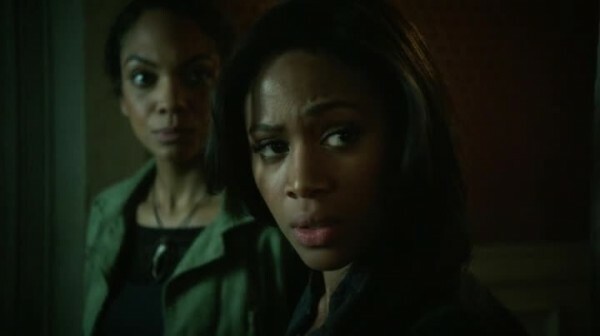 So far Sleepy Hollow has built an interesting alternate history tale and I am excited to see where it goes in the future. We finally get a bit more Katrina, and from the casting announcements in upcoming episodes, Captain Irving will do a bit more than begrudgingly do what Abbie asks of him, which will also be grand. Even I can’t explain the supernatural way the Cubs lose every year! George Washington doll is well hung! What happened to the cast of Revenge of the Nerds! The longest game of Hide and Seek ever!